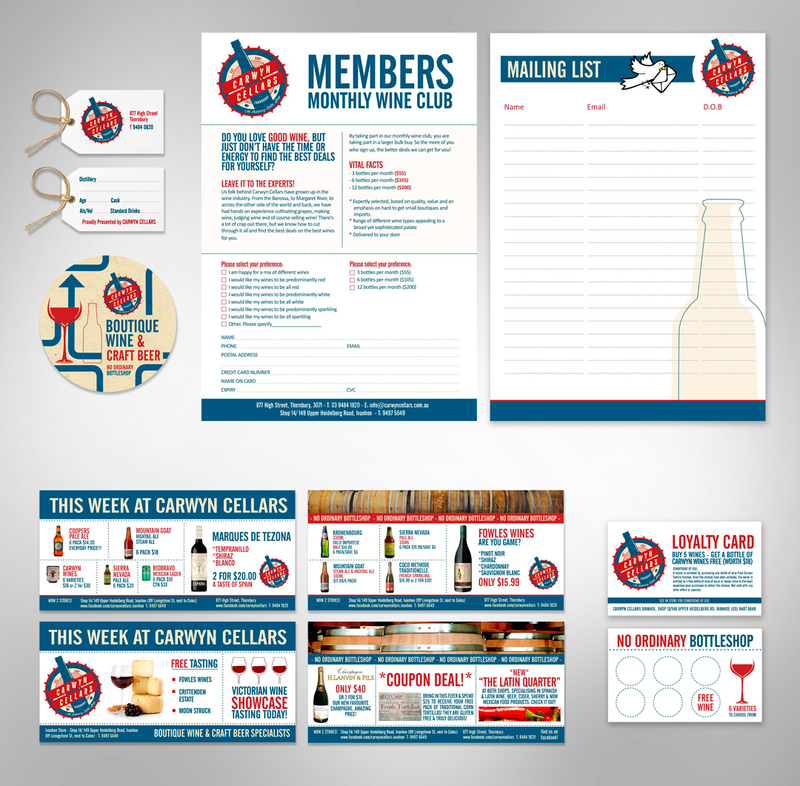 Carwyn Cellars is an independent family owned bottle shop in the northern suburbs of Melbourne. In the last year they have experienced significant growth and notoriety after opening their boutique beer and wine bar, which has proven extremely popular with the Thornbury locals. They offer a choice selection of locally and internationally brewed beers and wines, as well as delicious cheese platters and homemade tacos. Sullyproductions has been proudly pushing their brand further and further by developing signage, packaging, swing tags, info material and tons of brand collateral over the last three years. We love working with the Carwyn team and look forward to working with them again cos these guys are really going places!